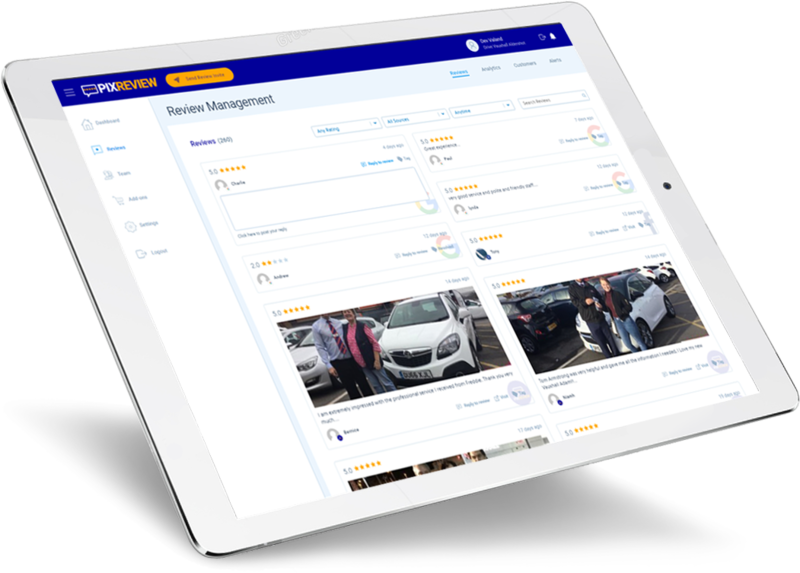 No.1 provider of online reputation management systems to the automotive retail sector. The PixReview2.0 Review Request Workflow will get more of your customers to leave genuine reviews on Google and Facebook. Customers who have had a negative experience will be directed to raise their concerns privately and directly with you and will not be asked to provide a public review. The campaign function will allow you to send data on bulk from other sources. E.g. DMS (Dealer Management System), eVHC. A typical car buyer does 139 Google searches as part of their car buying journey. Car buyers are doing homework online before retailers can talk to them. Car buyers will go elsewhere if they read negative reviews. Retailers don’t have bandwidth to manage online reviews. Manufacturers insist on exceptional customer experience. The PixReview2.0 Reputation Management Platform is completely independent of all review sites, this means you can manage, monitor and respond to all of them in one place. The notifications will ensure you are continually kept informed. The dashboard will provide full analytics across all review platforms that matter to you. 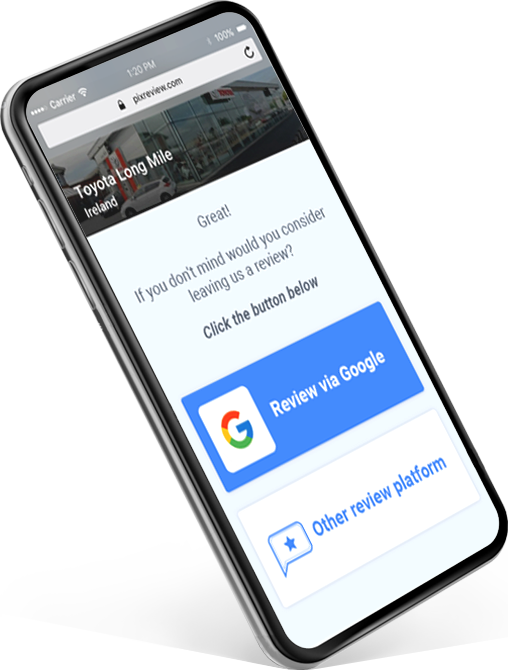 The Customer Review Carousel will promote your Google Reviews and Facebook Reviews on your websites providing the ultimate validation for potential customers. 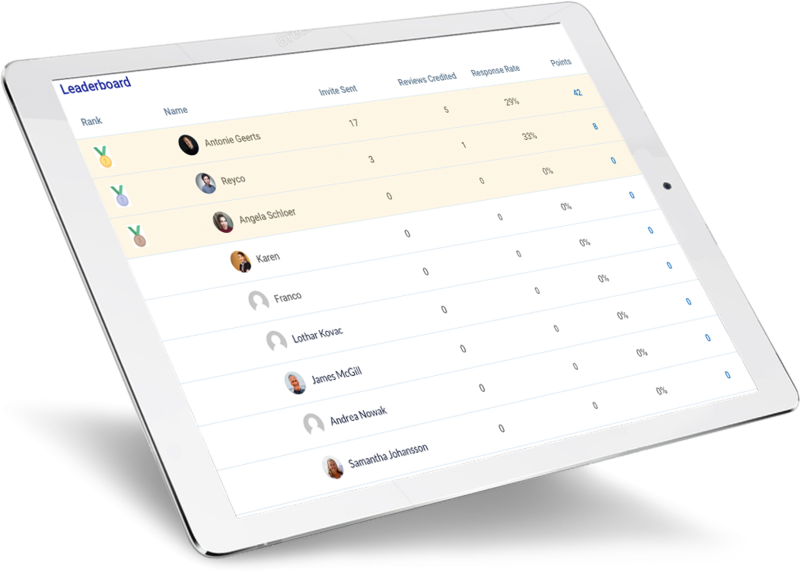 The PixReview2.0 Leader Board will provide gamification for the sales and service teams. This will drive usage of PixReview2.0 encouraging the team to send invites continually increasing reviews.